In the sphere of experimental and what one may reasonably term ‘fringe’ music, there is something of a propensity for descriptive titles. I’m quite a fan of these kinds of titles. Picking up Exercises in Modular Synthesis and Field Recording, I have a reasonable idea of what to expect. Granted, there’s no detail as to how these elements manifest sonically, I know I’m not going to get black metal or orchestral pop. Smolders likens his process to that of the calligrapher, working with speed and precision. Operating with minimal interference or reworking once the process is under way, he is, he says, guided by the flow and the ‘here’ and ‘now’. ‘Incident at Ras Oumlil’ is constructed primarily from long, low rumbling drones interspersed with clicks and fizzy bursts of static. Voices rise; the words inaudible, but the tones of the clamourous crowd conveys a sense of agitation. Introducing an element of wordplay which reminds us that even nowhere is somewhere and is located temporally in time and space even if not geographically, ‘NowHere’ approximates the sounds of engines; trains and planes and whistling lasers. It’s evocative of something, but something so vague as to be an empty vessel from which echoes notions of travel, departure, passing through. We’re here, now, but where is here and when is now? 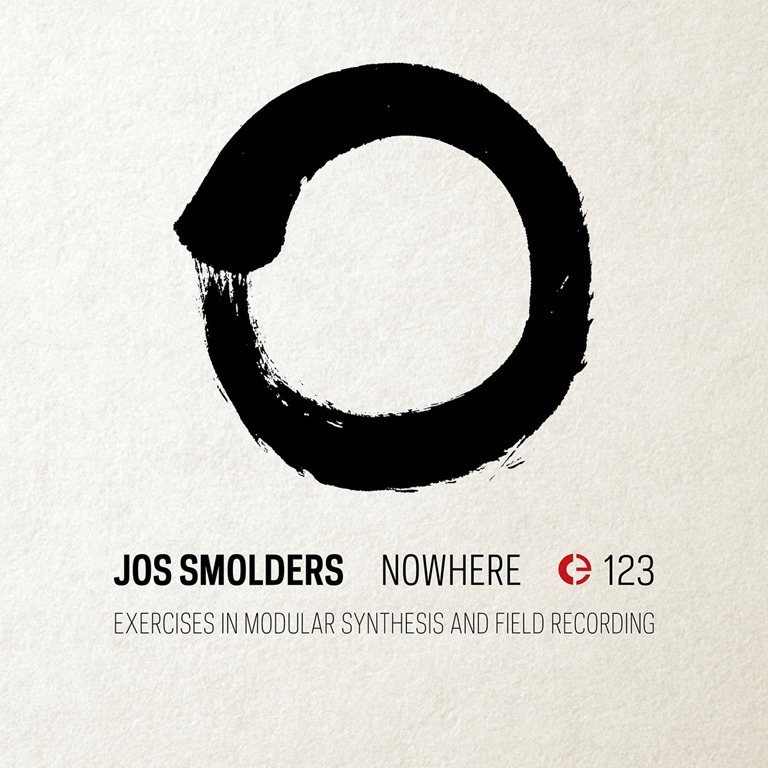 Counterpart and companion piece, ‘NoWhere’ is barely there for the most part, with delicate chimes and rings hovering on the fringes of audibility, gradually building in its tonal range and density. The seventeen-minute ‘Up, Up and Back to 1982’ deals in sonic abstractions, shimmery analogue bleeps and twitters flit through a composition which transitions through a succession of seemingly independent segments. These are sparsely arranged pieces, with emphasis on tone, texture and above all, space. Wibbly oscillations funnel between screeding noise, feedback and distortion. Slow, atmospheric swirls drift blankly against a backdrop off hums and crackles. At times manifesting as a sound which approximates little more than the rumble of a vinyl groove, at others bursting with sound on sound, Nowhere is attentively executed with a rare precision, navigating a route through a succession of temporo-spatial zones which linger long in the mind.